Life insurance policies are a type of insurance policy that ensures upon your death, a specific amount of money will be paid to your loved ones. In exchange for this insurance policy, you make premium payments in order to keep the policy relevant. You can specify any number of people and values vary greatly, however, it is very common for spouses to name one another as well as any children or siblings. Many couples plan for this unexpected event because they realize without the income of another partner, maintaining the lifestyle they have become accustomed to would be much more difficult without having to take away from another savings area. In divorce, property and assets are divided in a specific way, depending on the state in which you live. While some states afford for an equal distribution, others look more towards a fair distribution which may not always be equal. Once a divorce is finalized the spouses are no longer the presumed beneficiary of any legal decisions and will also no longer be viewed as entitled to take under the former spouse’s estate planning documents. Effectively, their legal contract is broken and they are no longer related to one another. However, this is not the same for life insurance policies and some retirement accounts and benefits. Upon your death, if you have not amended your life insurance policy to remove the former spouse and replace with another party, the former spouse will legally be able to receive the benefits from your policy. 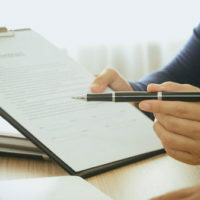 When obtaining a life insurance policy, while being named as a beneficiary under another (although you are making the payments) can sometimes seem like a good idea, it can come back around to cause more problems. Only a policy owner can change the names of beneficiaries, so if your former spouse owns the policy you took out for him and your children, only he or she can change it, and there would be little incentive to do such. As part of their divorce decree, some spouses will write in a provision for making payments on a life insurance policy. This is generally done when children are involved and both parents are still providing for education and overall support. A life insurance policy here ensures that if one parent dies, the children are still provided for under this policy. Are You Thinking About Filing For Divorce? Chances are you have thought long and hard about your decision to file for divorce. Once that decision is made, we can help you get through the process smoothly. If you or someone you know is filing for divorce, Lindamood & Robinson, P.C. can help. Our dedicated Houston lawyers are prepared to help you with your case today.